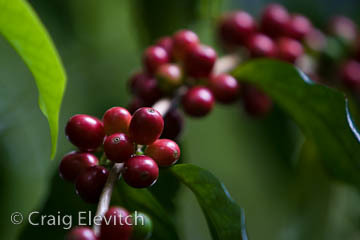 Shade-grown coffee at Kuaiwi Farm, Captain Cook. The Kona Coffee Farmers Association’s mission is to promote and protect Kona farmers’ economic interests in 100% Kona coffee, to protect the Kona coffee heritage, and to seek greater legal protection of the Kona coffee name. We are the voice of the Kona Coffee Farmer and will carry the Farmers' issues to the Hawaii State Legislature and support the Farmers in their Kona Coffee farming activities. 1. Building a Win-Win Program for Kona Farmer. The Kona Coffee Farmers Association’s goals are to help all of our member farmers succeed in their farming business and enjoy participating in an organization that represents their interests. We will accept as voting members all Kona coffee farmers who subscribe to the purposes of the organization. We offer non-voting membership to those who support the promotion and protection of 100% Kona coffee. As of 3/12/2010, we proudly have 226 members! Our mission is to protect the life of the land and the health of our communities through education about organic land care practices. We believe that developing and strengthening certified organic farms will enhance Hawai’i's many fragile ecosystems and be a base for a local sustainable economy. HOFA was formed in 1993 in response to the federally mandated Organic Food Production Act (OFPA) of 1990. HOFA’s purposes are certification of organic farms, education and research, and providing a unified voice for Hawai'i’s organic agriculture industry. HOFA anticipates that accomplishing these will lead to a viable sustainable agriculture sector in Hawaii, providing for greater self-reliance in food production, greater food security for the State of Hawaii, development of locally produced agricultural inputs, expansion of value-added products, and strengthening of community through support of a healthy diversified agricultural sector characterized by a balanced mix of small, medium and large-scale farming enterprises. HOFA is federally accredited to offer Basic Crop, Apiary, Livestock, and Processing/Handling certifications. HOFA’s Farm Apprenticeship Program is a collaborative arrangement between HOFA certified farms and individuals seeking work trade opportunities on organic farms in Hawai’i through hands-on experience and instruction. HOFA offers many publications and resources to assist producers and consumers with tropical organic agriculture. HOFA conducts workshops, conferences and participates in tradeshows. 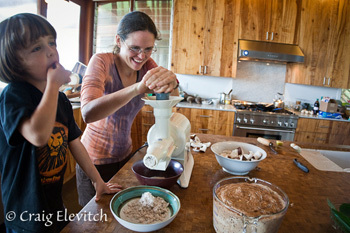 HOFA has a video, ‘Growing toward the Light’, which showcases Hawaii’s organic farms. HOFA collaborates with farmers and researchers on projects pertaining to organic and sustainable tropical agriculture. HOFA members are people like you who care about the food they eat and its impact on the environment. Our membership is made up of local organic farmers, distributors, retailers, students, and consumers wishing to support and promote organic agriculture in Hawaii. You do not need to be an organic producer to be a member. Members receive regular newsletters and notices of events, workshops, conferences, and seminars. Organic agriculture respects the balance of a healthy ecosystem by encouraging wildlife, creating plant and animal diversity, building healthy soils, and through the protection and conservation of water resources. Organic farming is an important building block for the health and future of all resources on our planet while developing economic viability and quality of life for our rural communities. Any individual, business, or agency wishing to support or promote organic agriculture may join HOFA as a supporting member. Hawai'i Tropical Fruit Growers is a nonprofit organization, incorporated in 1989, with the primary purpose of promoting the interests of any and all aspects of tropical fruit in the State of Hawai'i. HTFG is dedicated to tropical fruit research, education, marketing and promotion. Research: Advancement of Hawaii's tropical fruit industry through research is the heart of Hawaii Tropical Fruit Growers. HTFG funds and participates in studies to improve cultural practices and post harvest treatments. Research recently completed includes development of value-added products from off-grade tropical fruit.With our research grants, we work in close partnership with the University of Hawai'i College of Tropical Agriculture and Human Resources (CTAHR), and the USDA-ARS Pacific Basin Agricultural Research Center (PBARC). Education: The annual International Tropical Fruit Conference each fall serves as the focal point of information dissemination and training for the industry. The far-reaching and timely topics highlight new research, industry news, and trends. Featured speakers are tropical fruit experts from around the world. Now in its fifteenth year, the popular conference also features orchard tours and demonstrations, fruit tasting, and a benefit auction. Chapter workshops and seminars held throughout the year present important issues and informative speakers. These meetings are a great venue for the exchange of knowledge and experience. HTFG organizes tours to international research symposiums. Past tours visited Australia and Thailand. Members receive a subscription to Agriculture Hawaii magazine. Promotion: HTFG promotes tropical fruits and our members at trade shows, food festivals and industry events. 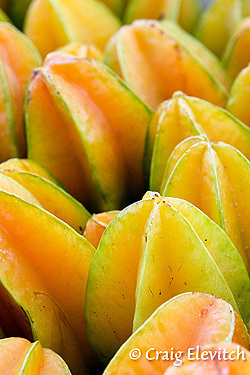 We bring in fresh, delicious, unusual fruits for demonstrations on preparing and enjoying. It is rewarding and fun to watch the participants get excited over their new fruit discoveries. Our West Hawaii Chapter recently introduced tropical fruit posters and cards to promote Hawaii's many tropical fruit varieties to chefs, retailers and consumers. Commercial Grower members receive exposure through HTFG's Commercial Directory, distributed to fruit industry professionals interested in purchasing fruit, trees or value-added products. Representation: HTFG participates in the Hawai'i Farm Bureau's Commodity Advisory Group, representing the interests of the tropical fruit industry and coordinating state level efforts to benefit Hawai'i agriculture. The Hawaii tropical fruit industry is growing rapidly, especially on the Big Island. Our membership includes people who work in many aspects of this business: small growers and commercial growers, nursery stock growers of tropical fruit trees, packers and wholesalers, and manufacturers of tropical fruit specialty products. The majority of HTFG members farm on the island of Hawai'i and we have three active chapters here. They are the East Hawai'i Chapter, the West Hawai'i Chapter and the Cacao Chapter. Know Your Farmer Alliance (KYFA) is a grassroots educational and activist group of farmers/gardeners/friends who support a vibrant and self-sufficient local food economy based on ecological growing methods. We know that a strong community is as self-sufficient as possible and cares for its land and people with a passion. Pure, fresh, local and naturally grown food is our birthright and our vision. There is much to learn from each other and all are welcome. After six years of workshops, farm tours, newsletters, seed exchanges, meetings and assorted projects such as the “GMO Free Zone” and “Little Fire Ant Alert,” Lyn, Geoff and Nancy are moving in new directions. Lyn’s’ heart is in music and aquaponics, Geoff has initiated the Puna Small Farm Initiative, a “Farm Aid Project”, and Nancy coordinates the Hawaii Island School Garden Network. The Alliance website remains active and we encourage anyone who would like to do a related workshop, farm tour, etc. to contact us and we will try to support them as much as possible under the KYFA umbrella. There are many new and special eco-agricultural events happening on the Big Island and we are looking for someone (or an existing group) with passion and vision, to guide KYFA into the future. Meanwhile the Puna Small Farm Initiative (a KYFA project) is about to facilitate its second event. 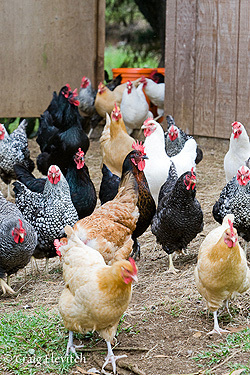 This initiative targets small local family farms for direct community support. Deferred maintenance, simple expansion plans and endless projects that never quite get started or finished are possible candidates for our help. This is an opportunity to physically help those who bring our community the gift of quality local food. It is also a great way to get to “Know Your Farmer.” The families feel supported and valued, we have a great day meeting new friends and working together - knowing we are making a difference! Please consider joining us on Nov. 7, 10 am to 5pm at Milk and Honey Farm in Pahoa (see Events listing above). We will do a variety of tasks and share a healthy farm salad lunch. Please call KYFA for details and to sign up at 936-7040. The North Kohala Food Forum grew out of a perceived need to bring together all of the parties involved in the producing, buying, selling, and distributing of food in North Kohala for a community conversation on producing more of our food locally. Share information by providing a forum for communication between the many food self-sufficiency projects, businesses, organizations, and interested parties in North Kohala. Allow synergistic partnerships to form, so as to not duplicate efforts and to increase community buy-in and support of existing efforts. Identify the key barriers to local food production and working together. 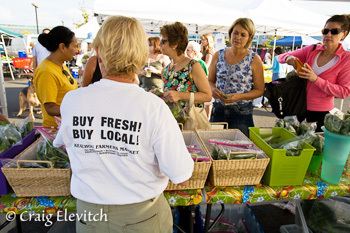 Glean insight as to what the public is thinking about local food self-sufficiency. Begin to get a “lay of the land” with regards to who is doing what and why. 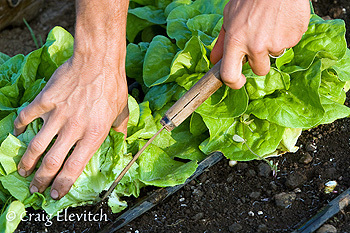 Begin to track progress towards food self-sufficiency, but not to impose a plan. The North Kohala community has many existing and emerging commercial and community projects that could lead to increased food self sufficiency, but there is currently no forum or organized way for all interested parties to share information. The North Kohala Food Forum believes that the sharing of information is the first step in building collaborative partnerships towards a stated community goal. In order to get the “lay of the land” before the actual Food Forum on August 22, 2009, each invited participant was given a survey to complete. You may find the complete unedited responses from each participant, summaries of the data, and a summary of the Food Forum proceedings on the forum web site. You can also view the raw data, track progress, view the PowerPoint presentations from the forum, and connect with other interested community members. The North Kohala Food Forum is a project of the North Kohala Community Resource Center with funding provided by: the County of Hawaii, Dept. of Research & Development, Hoea Agricultural Park, The Ulupono Initiative, Steering Committee Members, Starseed Ranch, and local contributors. The North Kohala Food Forum Steering Committee consists of Bob Martin, Andrea Dean, Forrest Arnold, Shannon Casey, Guy Kaulukukui, Christine Richardson, Karen Rosen. To these we would add a concern for humane treatment of farm animals, and a policy of supporting food charities from the proceeds of all events. When you sign up, you will be asked which "Convivium" you want to be a part of - select "Hawai‘i Chapter" and you're on board for a variety of wonderful events. As a member, there are many ways to get involved and be heard. You will have an opportunity to participate in all our programs and attend all local, national and international events. Sustainable Kohala is a network of over 200 people living in and around North Kohala who are promoting community sustainability and resilience. We are an informal volunteer group formed almost 2 years ago. As the earthquake of October 2006 reminded us, we live on an isolated island with a very fragile infrastructure. We import most of our food and all of our manufactured goods. Like all of Hawaii, because of our isolation, we are vulnerable to a host of emergencies caused by weather-related disasters, rising fuel costs, economic decline, terrorism, epidemic infections, etc. We now depend on available on-the-shelf food supplies, with less than a week’s reserve on hand. Any of these global events could easily leave us stranded and unable to meet our basic survival needs for food, water, and power. But even without disasters, we exist to promote a more sustainable life, living lightly, building community, and reducing our carbon footprint. Thankfully, in the not-too-distant past, North Kohala was self sufficient; residents relied upon what they could cultivate, hunt, or make. We work to recover these skills as we connect with our neighbors, listen, help, and learn from each other. An important goal is to spread the spirit of ohana, learn from our elders, and teach each other survival skills. Our vision is a thriving community with emergency readiness, local food security, neighborhood ohanas, sustainable agriculture, sustainable energy, zero waste, ecosystem resilience, affordable housing, inter-generational participation—in other words, “Supersistence” - not just surviving, but thriving with better quality of life. We’ve also held workshops and tours of, bio-dynamic composting, permaculture gardens, raised bed gardening, sheet mulching. In addition, we hold semi annual group meetings with information exchange and potluck dinner, as well as monthly meetings of the Steering Committee. 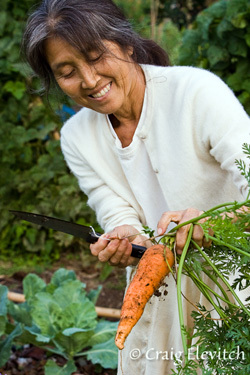 We have big dreams for what life will look like as a sustainable region: extensive backyard gardens and small farms; enhanced Farmers’ Markets; Community Supported Agriculture (CSA) programs where customers prepay for weekly produce; effective distribution of fresh food for all income levels; accurate data base of all food being produced in Kohala; farm map so people know when and where to buy local produce from farmers selling directly; gardening programs for all school-aged children; affordable and swift connection to Kohala ditch water for any and all serious gardeners; solar collector on every building; water catchment for every dwelling; re-use and recycle stations throughout Kohala; community gardens; and emergency planning by neighborhoods.